Check out our New Products!!! - Sealant Depot, INC.
Home » Resources » Articles and How tos » Articles » Check out our New Products!!! Check out our New Products!!! This is picture of a “NEW” product we are offering. It is a cantilevered step form liner with a wood grain texture, illustrated on the vertical surfaces of the steps. It is paired with a Reclaimed wood stamp on the horizontal surface. You can make a beautiful new staircase that looks like reclaimed wood. 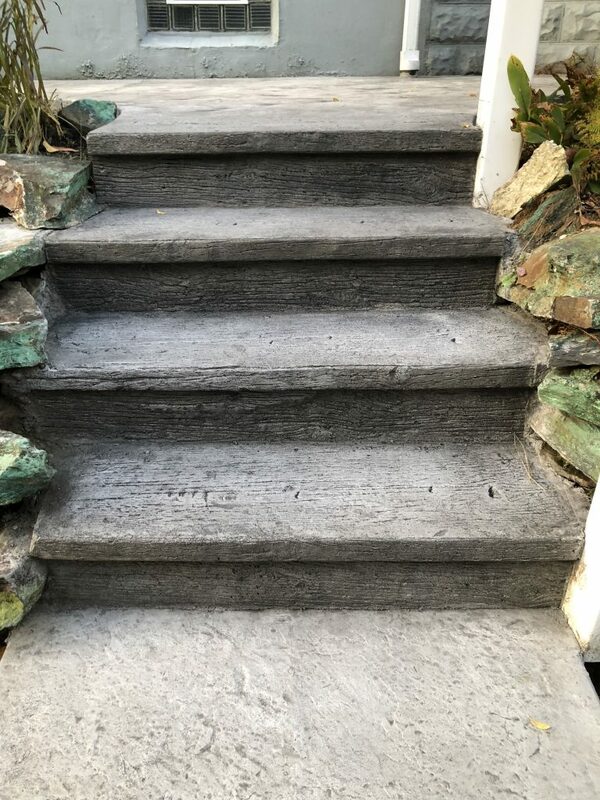 Collectively, they create the look of an ages-old timber set of steps built into the landscaping. Therefore, you get the best of both worlds. Isn’t this amazing!!!??? Make certain to check out our New Products!! !